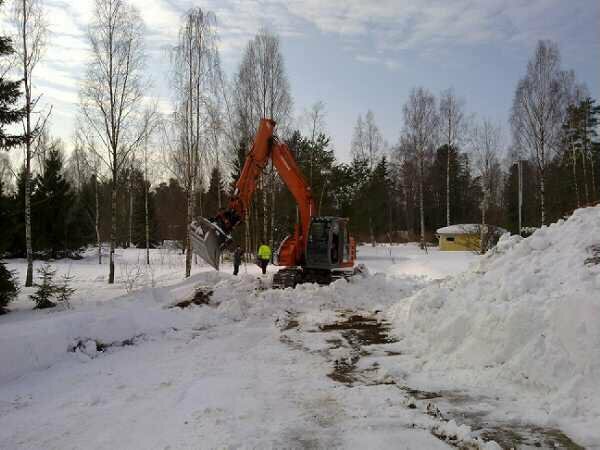 Project Eco Home in Finland: The land work has started TODAY! Today we met at the land with the land works contractor, electrician and somebody from the water network association. We discussed about making the road stronger to last 40 tonnes trucks, where to put the waste land, where are the electricity cables in the ground, felling some trees etc.